In complete contrast, Lefkon, who won the New Designer Award stood out as a ready to wear favourite. 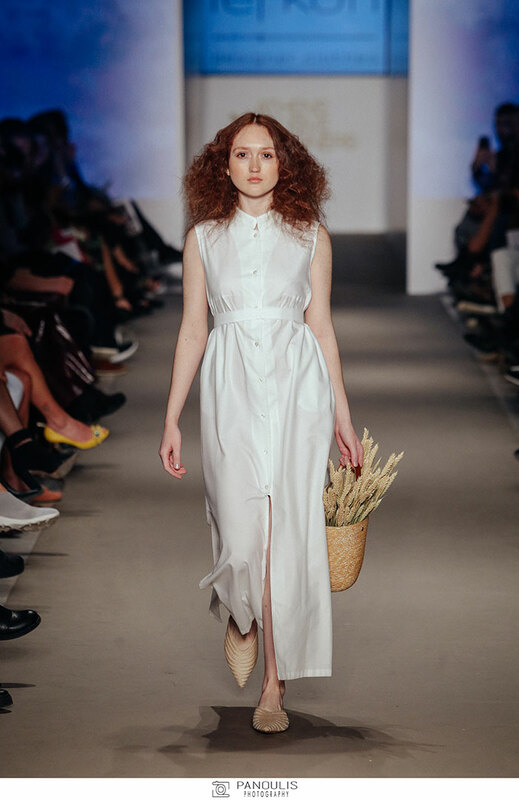 Showcasing a selection of simple shirt dresses in natural earthy tones, styled with flat sandals, un-done hair and headscarves; the result was a thoughtful collection that transcends time. 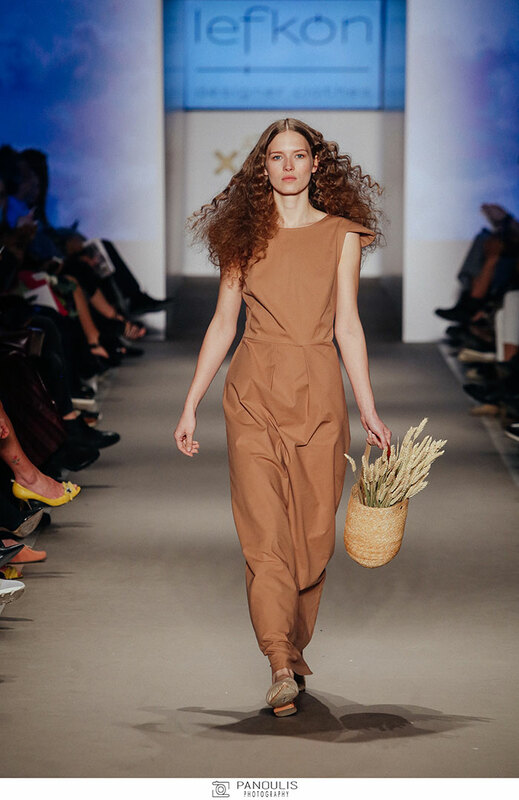 Straightforward, no-frills dressing perfect for the busy woman, that still suggests fresh air and rural living. The clean lines were reminiscent of nature but could easily work in an urban lifestyle. Presenting a blank canvas, the pieces lend themselves to be styled up and down. No doubt: this collection will be popular with all ages. The label was launched by Irini-Louisa Andrikopoulou in 2015 and nods to the Scandi style of minimalism, but the waistband details give each piece shape and personality whilst adding a contemporary touch.